2015 should be the year of you! Stay in your pj’s this morning, pour yourself a mimosa and start the new year with something deliciously indulgent. 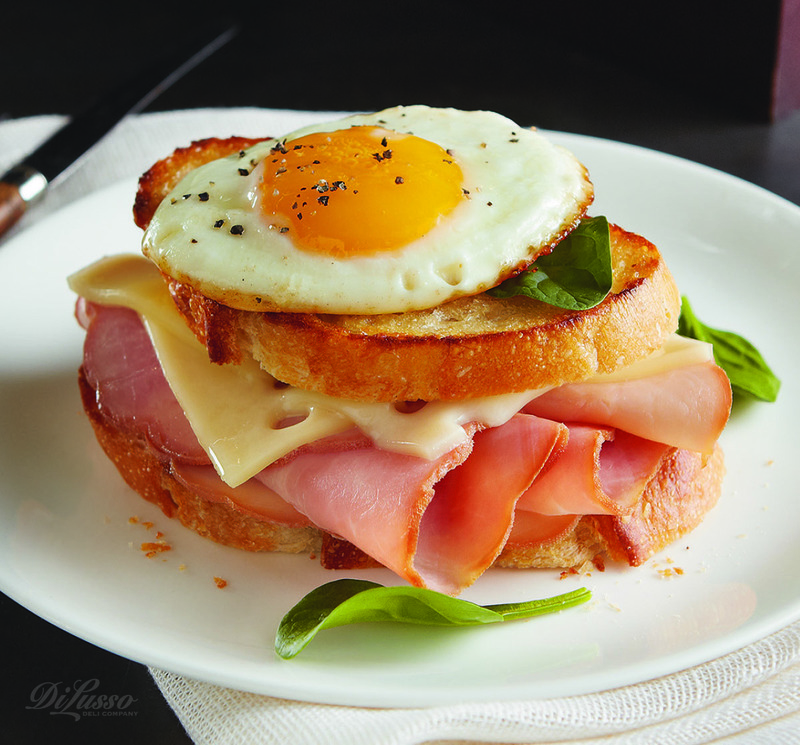 This buttery grilled baguette with ham and melted swiss is simply heaven on a plate. To make it, simply toast the baguette, add a nice spread of butter or olive oil, and layer the ham, cheese, and spinach inside. Top with an egg done your-way (we recommend sunny-side-up or over easy for the runny yolk.) If you’re feeling extra indulgent, have your spouse make it for you, and serve it with hash browns or American fried potatoes. Pro tip: This can be easy as a breakfast to-go by putting the egg inside the bread with the ingredients, then wrapping the whole thing with aluminum foil.